Today’s work is more at a desk and less in a field. Working for hours while seated and digging into work makes it easy to forget about the way you are sitting and cause you to hunch over your keyboard. Eventually, you’ll start to notice your back is aching and by then it is too late! Save yourself the suffering by applying a lumbar cushion to your chair! Keeping good posture has a variety of health benefits, but can be difficult to put into practice while dealing with a busy work schedule. (Even now, I’m writing this while adjusting.) 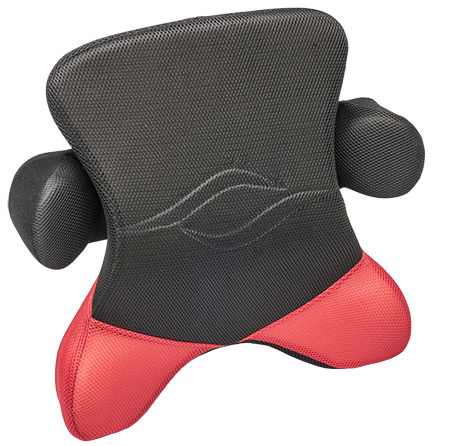 Lumbar cushions provide support to your lower back so you don’t have to constantly remind yourself to sit up straight. It’s one of those things that once you experience its usefulness, you melt and think how you should have done this a long time ago. 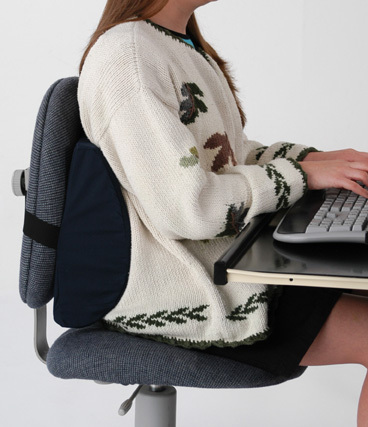 Alex Orthopedic carries several lumbar supports made from polyurethane or memory foam. Some, like the Lumbar Roll, are smaller and focus on the lower back while others, such as the Memory Foam Lumbar/ Cervical Cushion, help relieve stress of lower back and neck areas. These are just two examples of our posture cushions, but there are more to choose from by following the link. Get one today and leave back aches behind!